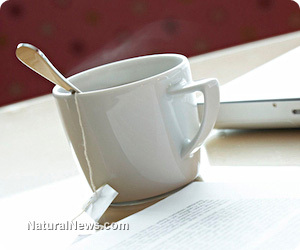 (NaturalNews) Green tea has received plenty of positive press over the years - and rightly so. Yet, its younger cousin is garnering significant attention as a superior brew in scientific circles. With the highest antioxidant rating of any tea - and the lowest level of fluoride - white tea offers noteworthy protection against cancer, inflammation, high cholesterol and dental plaque. It's also antifungal, antibacterial and fortifies against the ravages of aging. According to the Pacific College of Oriental Medicine, "the tea leaf stays so close to its natural state, the benefit of white tea is that it contains more polyphenols, the powerful anti-oxidant that fights and kills cancer-causing cells, than any other type of tea." The color and flavor of each tea variety is due to the period of oxidation. Black teas undergo a lengthy drying and oxidation period - oftentimes up to a month. The processing of green tea is much more brief at a day or two. Yet, with white tea, the leaves are picked just before the buds have fully opened and then dried immediately after harvest, thereby preserving a much higher antioxidant content than either black or green tea. Another advantage is flavor - white tea exhibits a delicate taste, without the grassy overtones commonly found with green tea. Nor does it have the problematic tannins of black brews. Processing and flavor aside, the real excitement surrounding white tea concerns its remarkable health-promoting merits. Milton Schiffenbauer, PhD, a professor and microbiologist at Pace University's Dyson College of Arts & Sciences, is enthusiastic about white tea - and for good reason. "Past studies have shown that green tea stimulates the immune system to fight disease," he said. "Our research shows white tea extract can actually destroy in vitro the organisms that cause disease. Study after study with tea extract proves that it has many healing properties. This is not an old wives tale, it's a fact." Research at Oregon State University in Corvallis also uncovered a remarkable benefit of white tea, this time in regard to colon cancer. Comparing the effects of the drug sulindac with white tea in preventing colon tumors in laboratory mice, the team discovered that white tea shrank tumor numbers on average from 30 to 13. When mice were given both sulindac and the tea, tumor levels fell about 80 percent, from 30 to six. And a study lead by Professor Declan Naughton of Kingston University in South West London found that white tea has notable anti-aging characteristics, as well as exceptionally high levels of antioxidants - which ultimately reduce the incidence of cancer and heart disease. The researchers were amazed by the performance of white tea. "We were testing very small amounts far less than you would find in a drink," states Professor Naughton in ScienceDaily. "The early indicators are that white tea reduces the risk of inflammation which is characteristic of rheumatoid arthritis and some cancers as well as wrinkles." For those concerned about fluoride found in tea, the Fluoride Action Network offers a measure of insight. "Since oxidative stress is believed to be a key mechanism by which fluoride damages cells in the body, the high levels of anti-oxidants in some teas can help to mitigate the impact of the high fluoride levels." Considering that white tea supplies exceedingly high antioxidant protection, with much lower fluoride levels than older teas, selecting white tea varieties will significantly reduce fluoride risk.